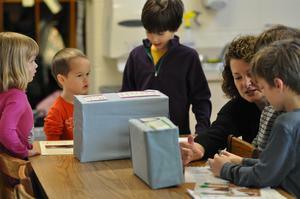 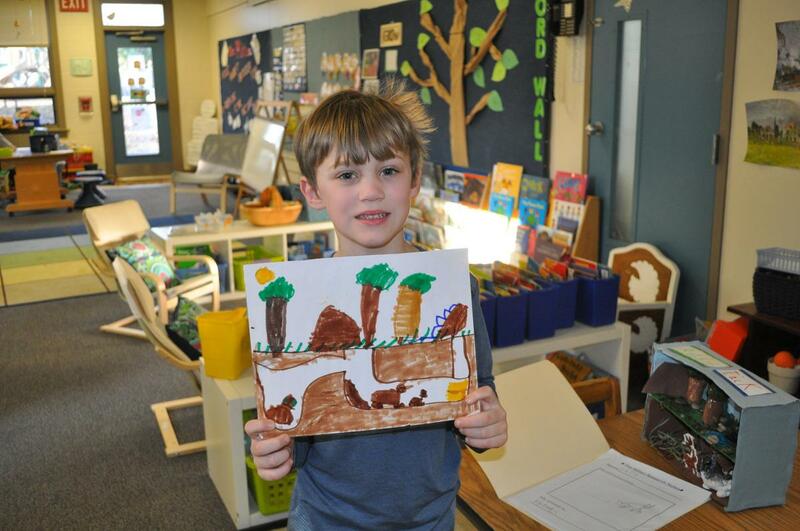 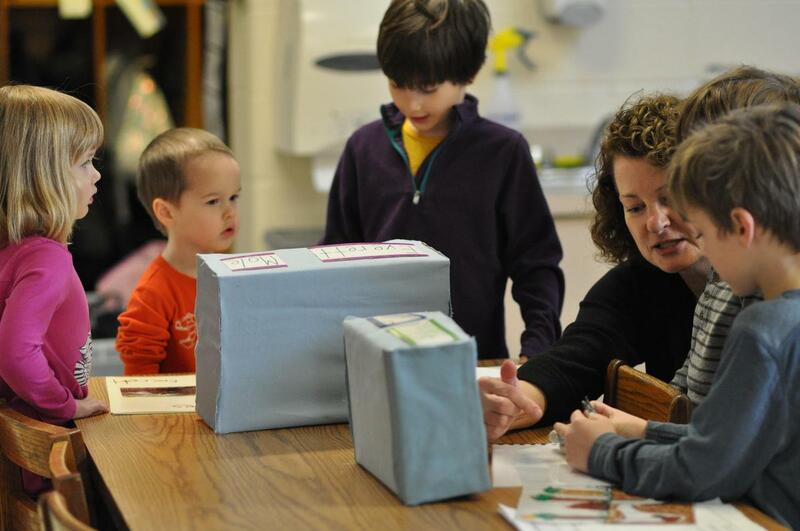 Kindergarten has been learning about fictional stories and studied the book, "The Mitten" by Jan Brett. 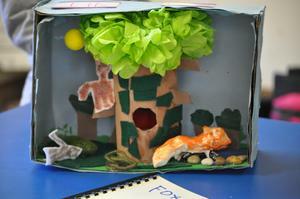 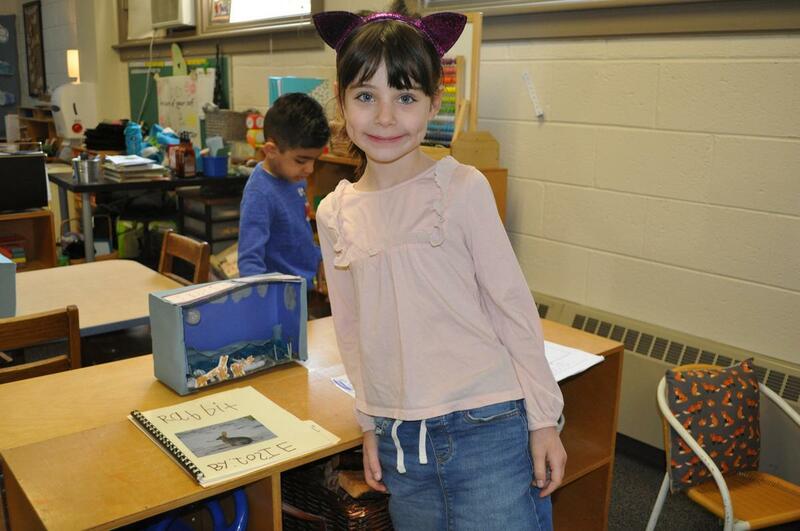 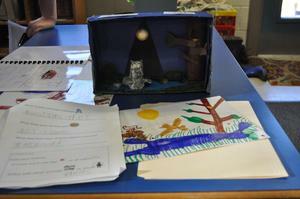 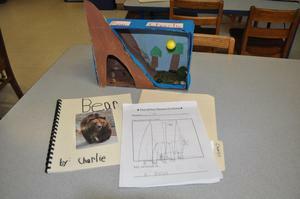 Each student chose an animal from the book to study. 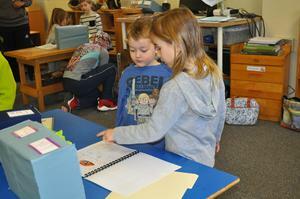 They did research in the library on their chosen animal. 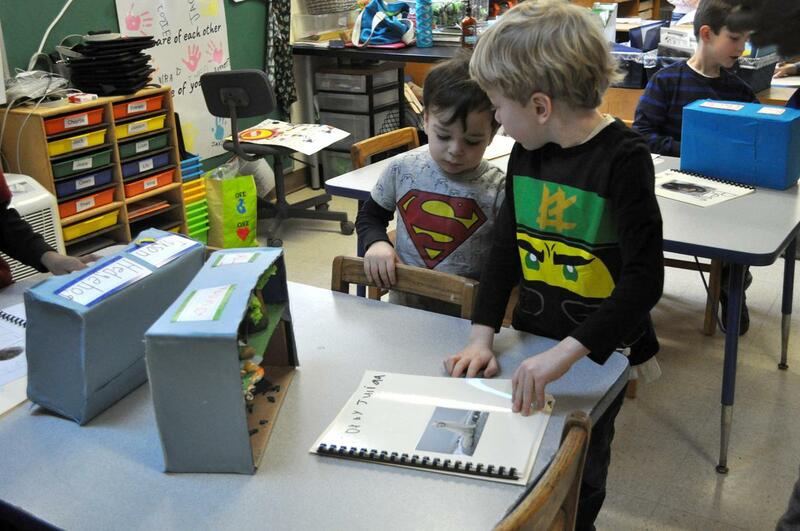 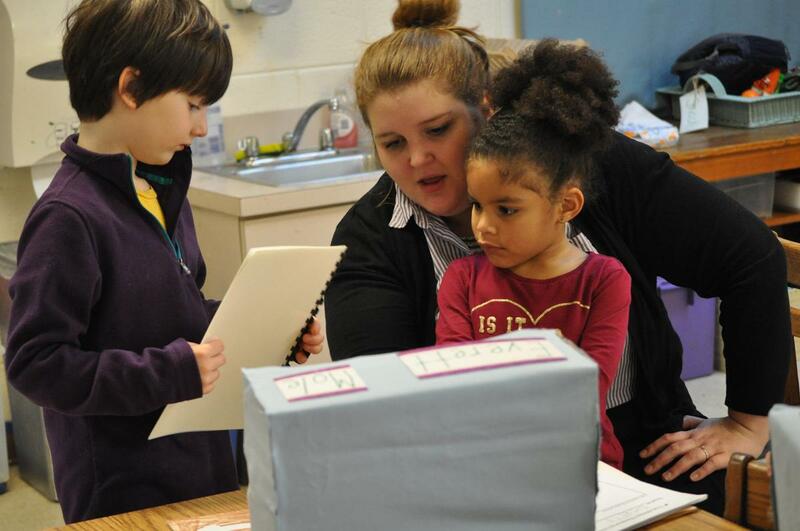 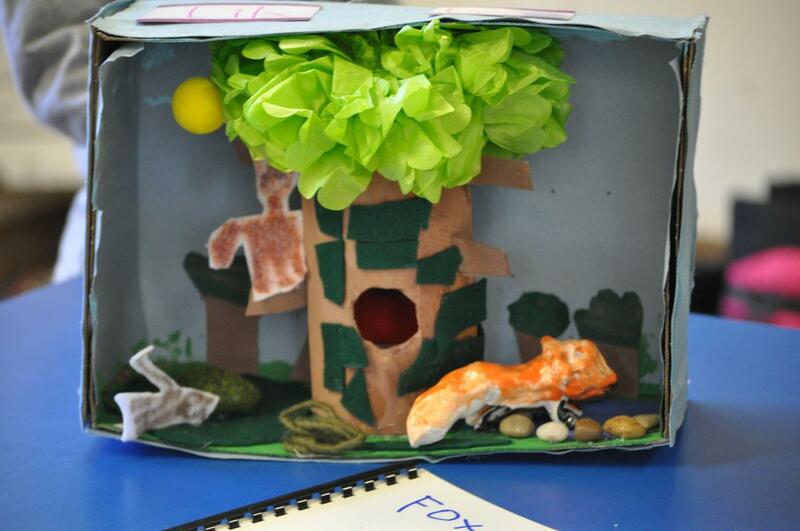 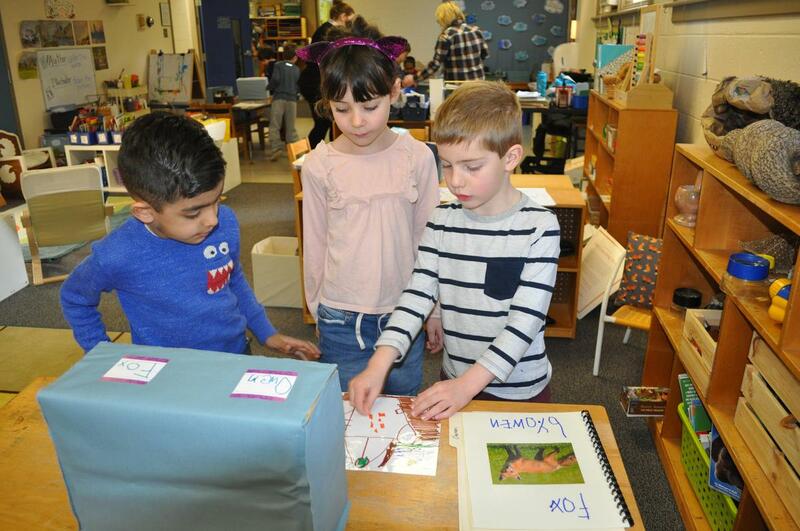 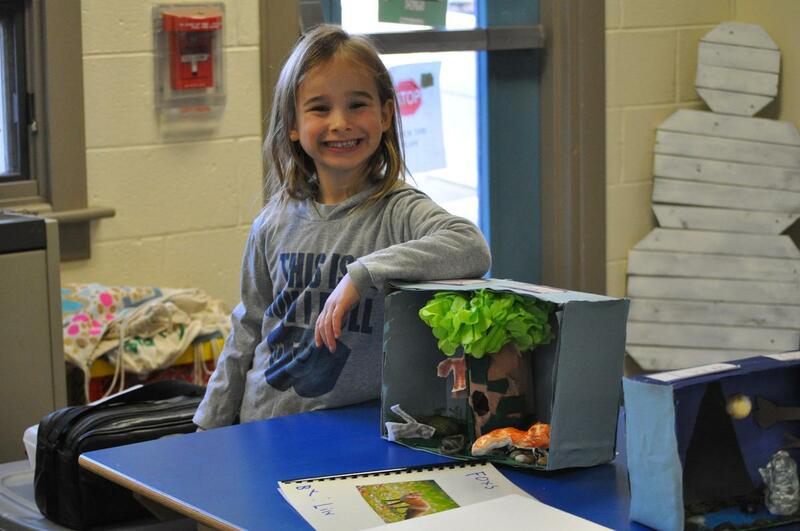 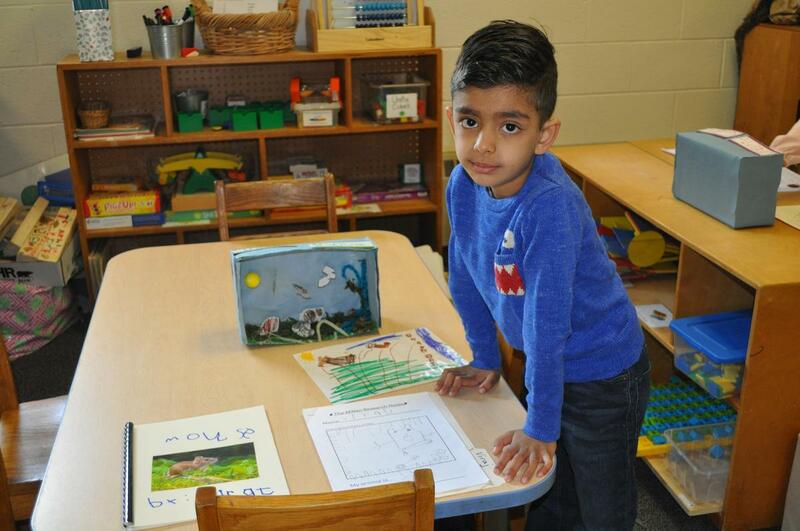 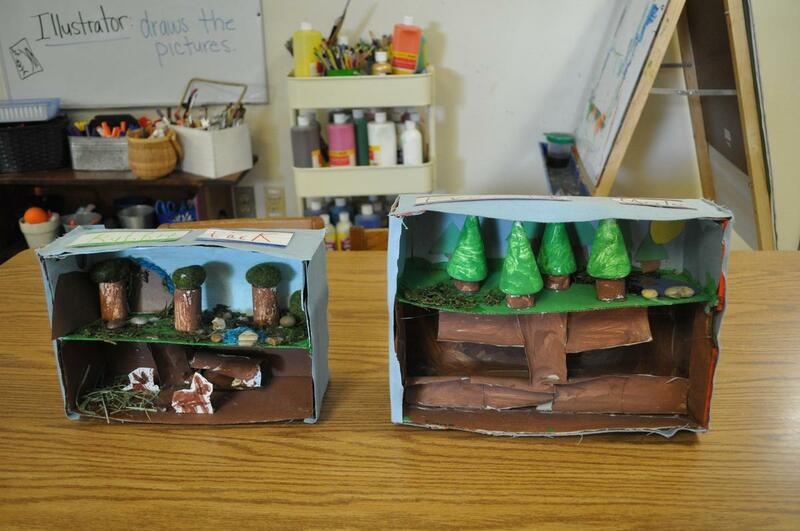 They took notes, formed them into sentences, made an illustrated book, and then created wonderful dioramas including a ceramic animal they made in art class. 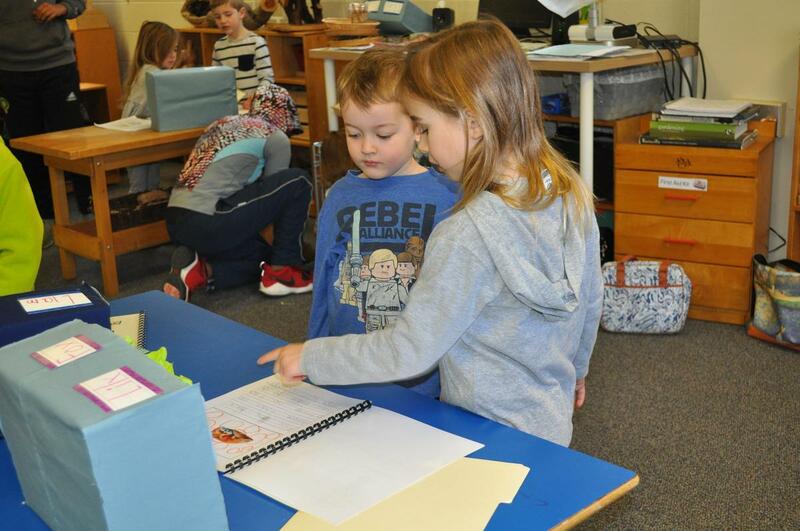 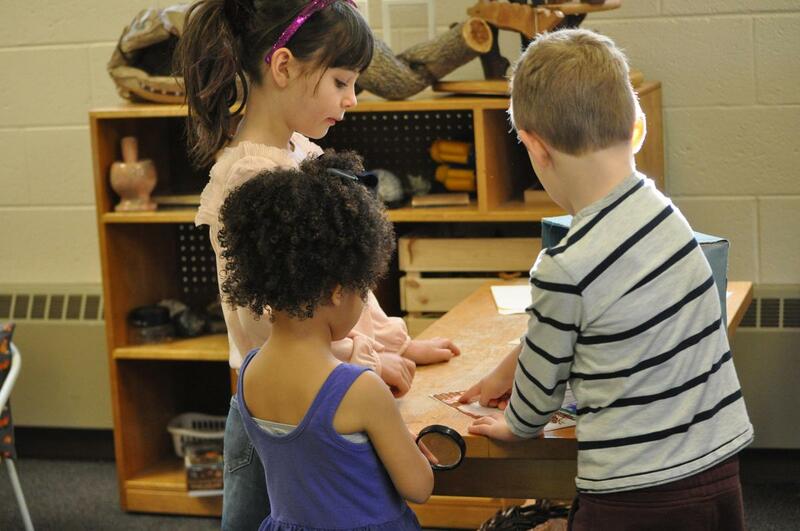 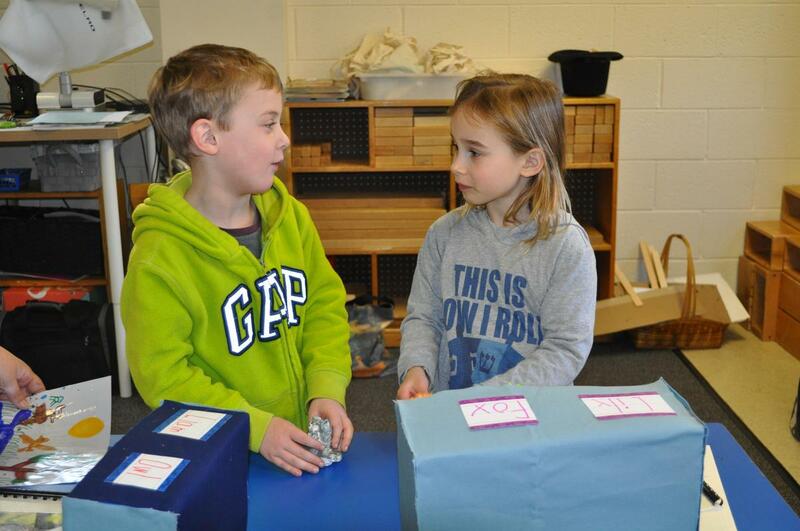 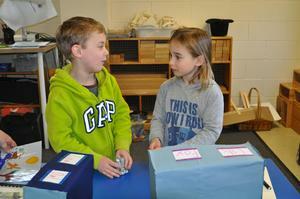 They invited preschool and nursery school friends over for a presentation of their fine work. 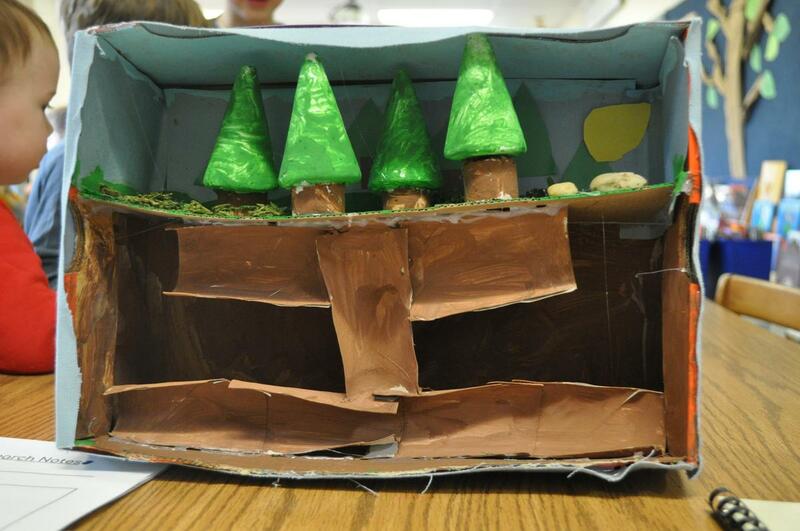 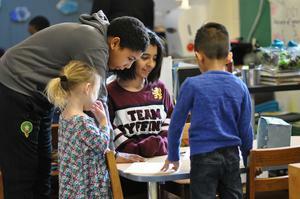 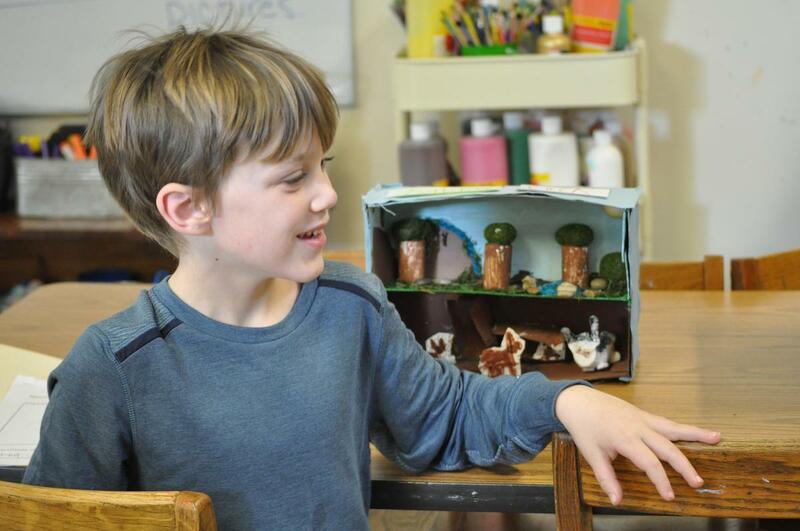 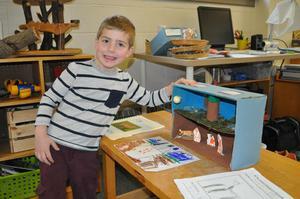 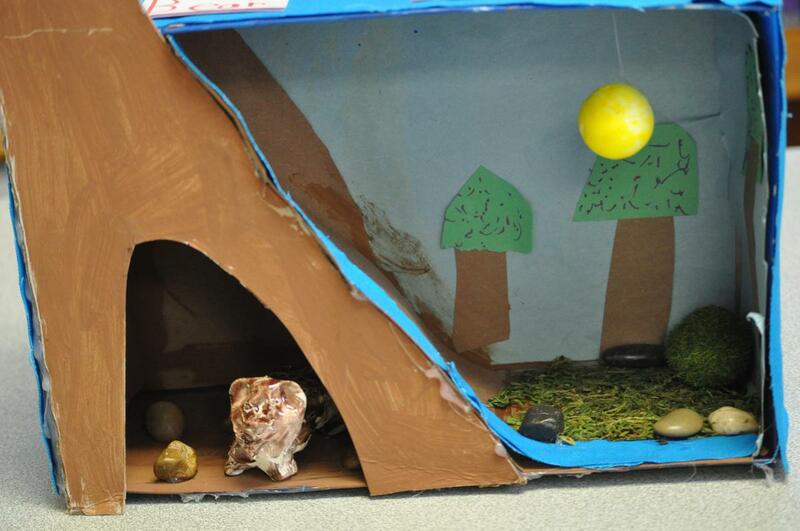 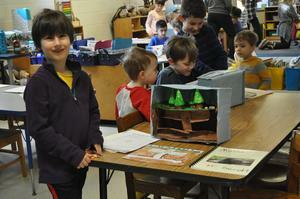 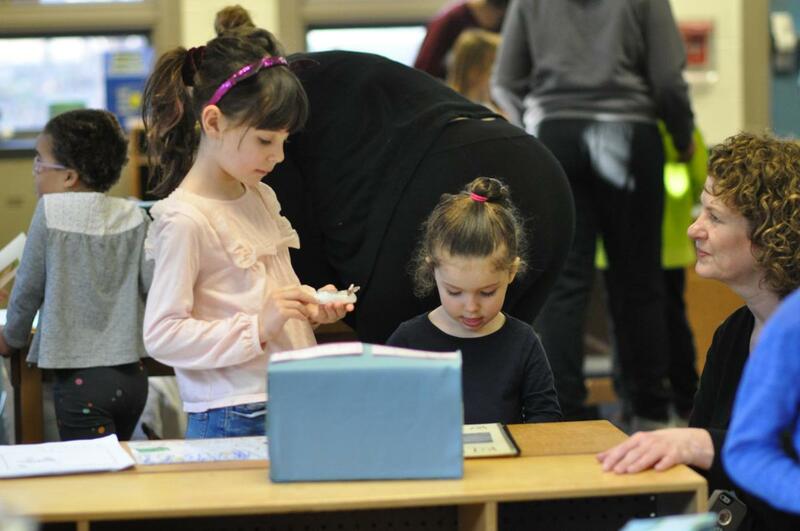 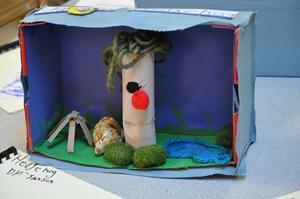 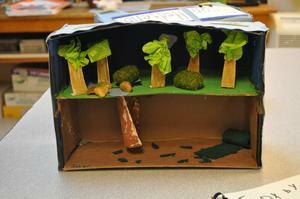 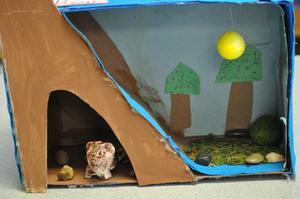 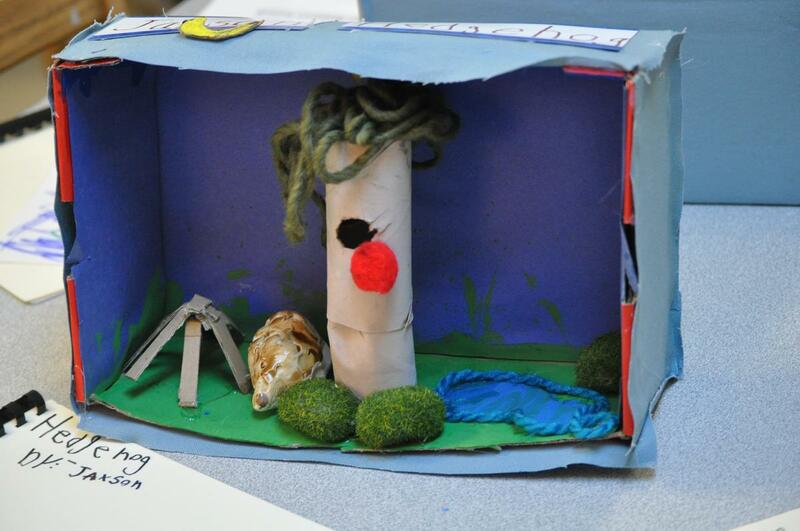 Their dioramas will be on display at the Ludington Library this spring.